This tour starts in Handegg, a small village on the road that leads to the Grimselpass. You can get there by bus or taxi from Innerkirchen, the place where the Lauteraar Tour ended. 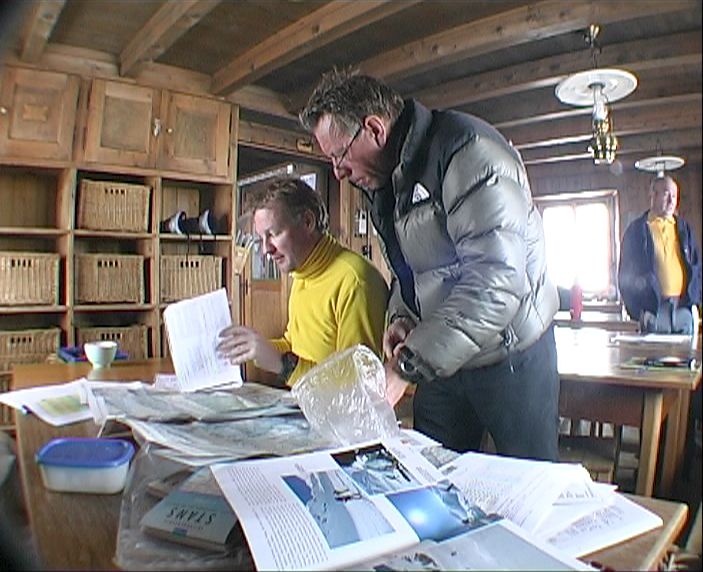 The altitude of Handegg is 1401 meter. You can gain 366 additional meters by taking the lift to the Räterichs bodensee (storage reservoir). In both cases you have to cross a steep part to get to the Gelmersee. The last part to the Gelmer hutte is steep as well. 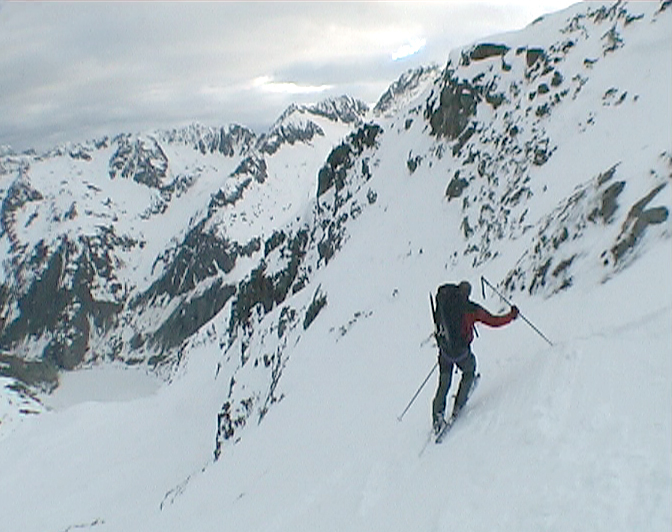 Due to this steepness you need safe (avalanche) conditions. This counts for nearly every day, including the alternative routes described by this tour plan. 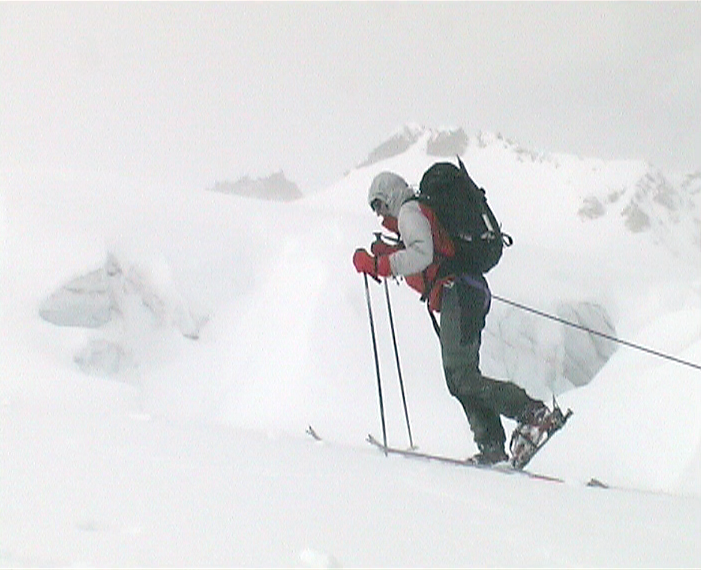 The Gelmer hutte (2412m) is the first hut in this tour and likely to be unguarded. From the Gelmer hutte you can reach the Diechterlimi, the col that gives you access to the heart of the Urner alps. If you like you might climb up the Diechterhorn (3389m) as well before you descend to the Triffthutte (2520m). In this very nice and well situated hut you stay for two days. 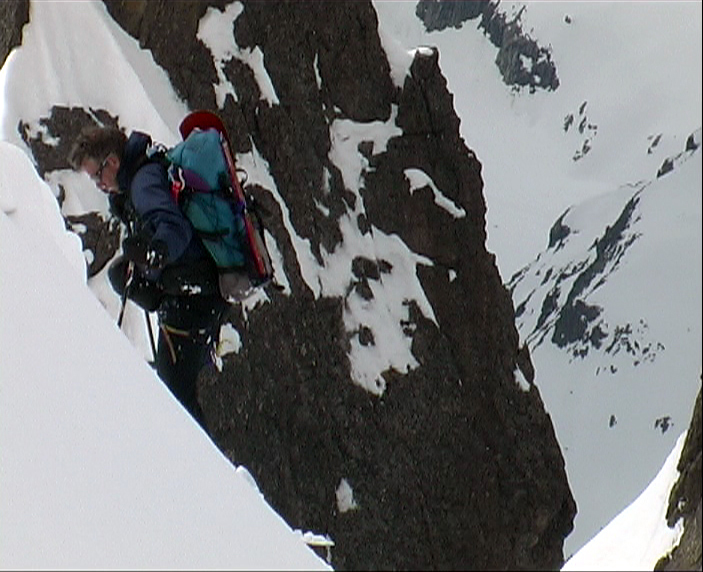 As a day tour you might climb the Wijsse Nollen (3397m) and/or the Dammastock (3629m). 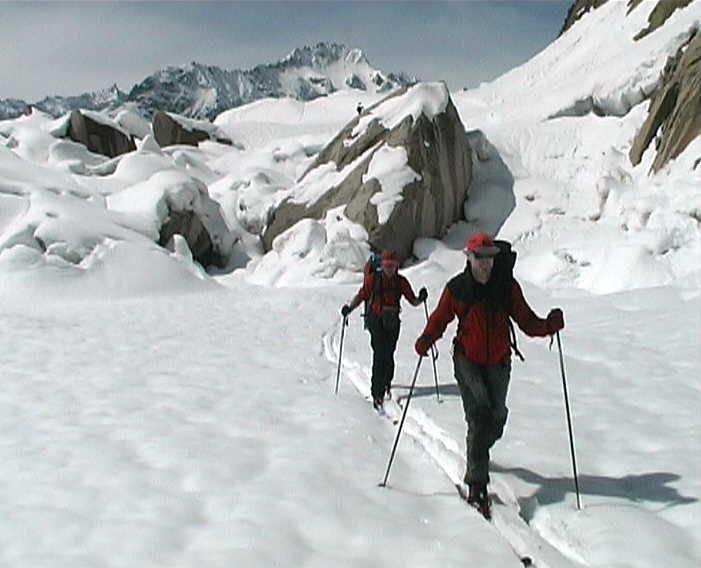 The route to the Tierberglihutte (2795m) is the most impressive and demanding day. 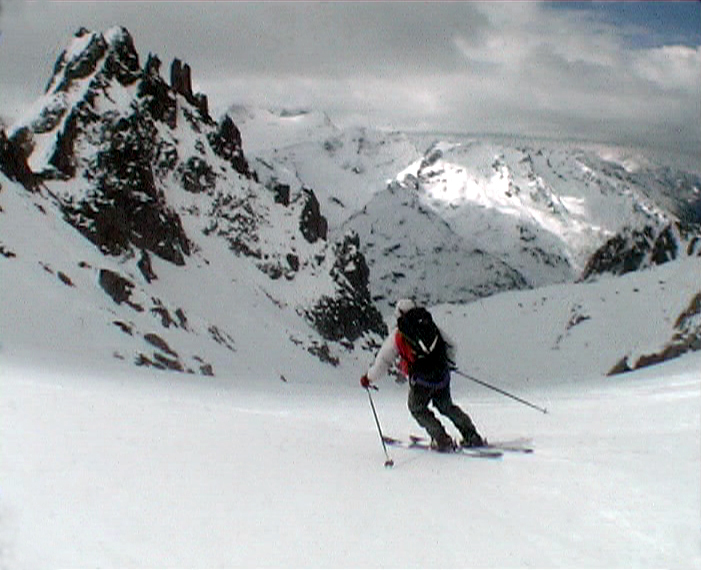 You will ski and walk down 1062 meters and climb up 1337 meter. This will take about 9 and a half hours under good circumstances. The Tierberglihutte is very popular due to the easy access from the Sustenpass and the beautiful mountains surrounding the hut. This tour brings you on top of the Sustenhorn (3503m). This one is definitely the most important and most beautiful mountain in the Urner land. 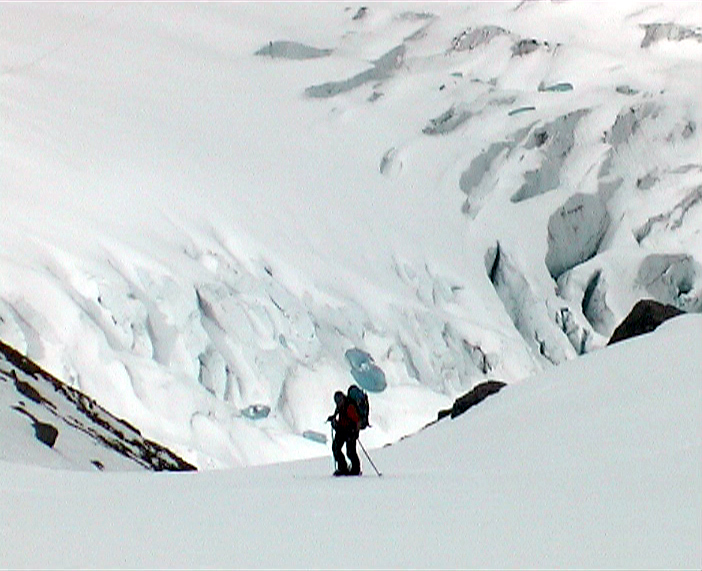 Thanks to the modest steepness of the glacier which goes as far as the summit it is extremely suited for ski tours. 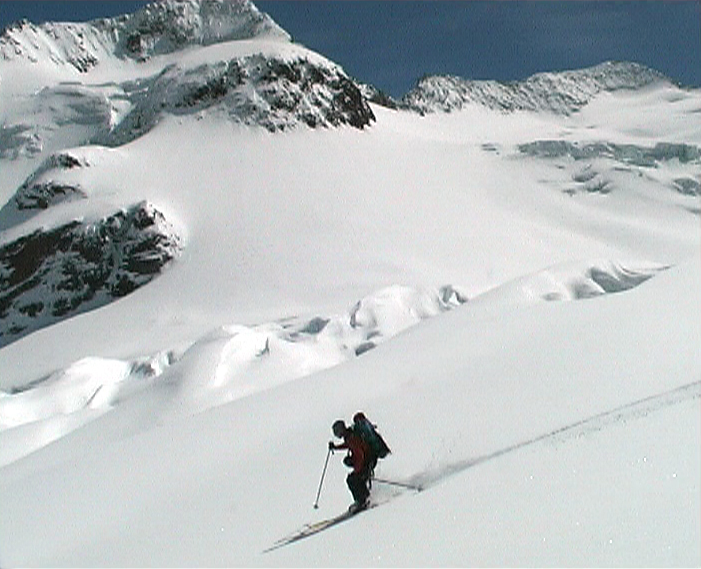 A marvellous descent brings you to Hotel Steingletscher on the Sustenpass. The rock formations on the other side of the road are dark and sharp, different from what you have seen the days before. Next to the Fünffingerstöck you will cross the Obertalljoch from where you can ski down to the Bivak am Grassen. This tour ends in Engelberg but to get there you have to enjoy a magnificent descent first. In combination with the alternative route you create six different tours varying from 4 to 8 days. 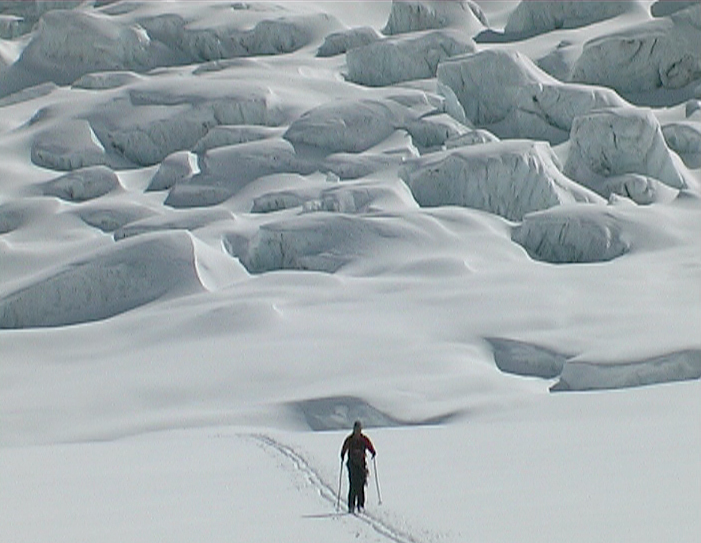 In all these tours you have to deal with one or more difficult traverses. 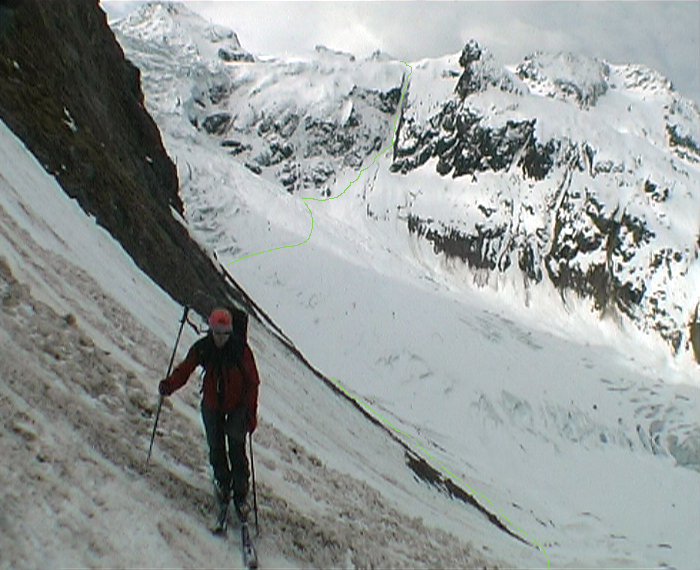 For that reason the Urner Haute Route is rated as SS (sehr schwierig). The huts mentioned below will be visited in this tour. The Gelmerhütte is open but unguarded during the tour ski season. Bivak am Grassen is a simple shelter. For additional information you can click the link.